Christofer presents to students at the Don Tyson School of Innovation. 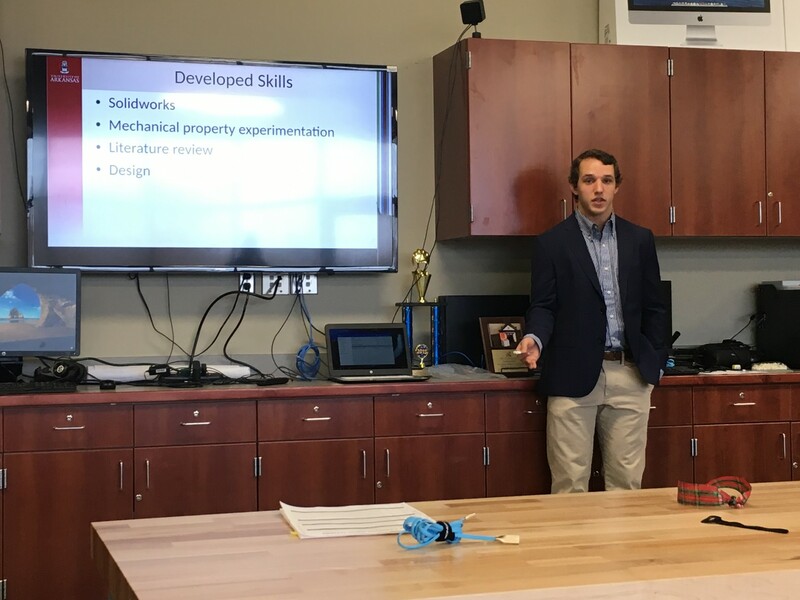 On December 15, 2016, I was asked to give a presentation to the Environmental and Spatial Technologies (EAST) Lab and Medical Science students at the Don Tyson School of Innovation in Springdale. The School of Innovation is a newly-founded school that offers a curriculum based on STEM (science, technology, engineering, and math) rather than a traditional public school curriculum. Eighth and ninth graders participate in mastery and project-based learning activities to earn credits towards graduation. Sophomores through seniors are enrolled in concurrent credit college courses to graduate high school as well as earn an associate’s degree through Northwest Arkansas Community College.